| This news agency aims to report trans-European struggles against the measures of austerity that are destroying our future. These are the news for and from a precarious generation fighting against the present in order to achieve a better future for Europe and the whole Mediterranean. A future not based on austerity, scarcity, profit, war and crisis, but a future based on the distribution of the common wealth, happiness, social rights, conflict, and new social and political institutions. Paraphrasing one of the European students’ motto we could say: "If 'they' block our future, we will block Europe!" "Against thieves of our future, let's appropriate it!!" We will be back on early September with a new site and new tools for a new struggle. Thank you! 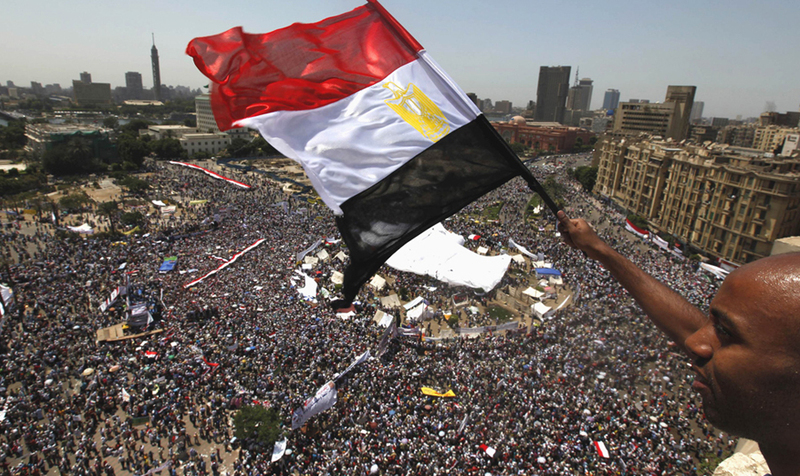 Thousands of people have taken up Tahrir square again in order to claim for political changes in Egypt. While campings in Spain go on growing the movement is spreading elsewhere. 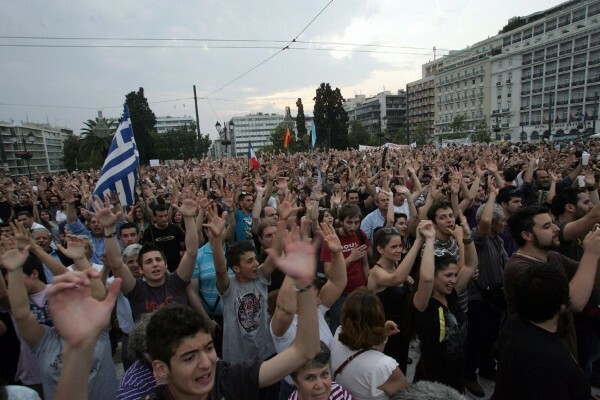 As campings and protests go on growing all around Spain they start spreading worldwide. Democracia Real Ya (Real Democracy Now) is a networked organisation that has no affiliation with any unions or political parties. On May 15th some 150,000 people in more than 60 cities all around the country marched to demand social, political and economic justice. Since then protests have gone on, growing in support through social networks (#spanishrevolution and #nonosvamos -we are not going away- have been global trending topics since then). Right now, thousands of people are camping in central squares in the main Spanish towns and cities, they are also organising themselves through social networks, which –after the Arab revolutions– are proving once again how useful they can be in allowing people to organise without a centre. Protests go on in the network and in the streets. People start camping in Madrid, Barcelona and other cities. 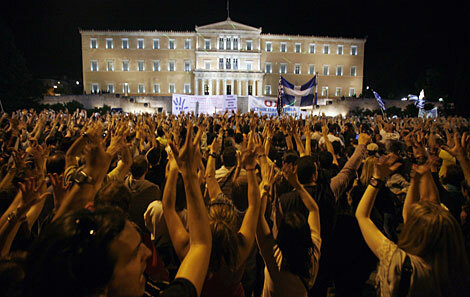 #spanishrevolution, #acampadasol (sol camping) and #nonosvamos (we are not going away) become global trending topics. See images and infromation of the campings below. See more videos from May 15th below. Massive protest in Spain claiming for radical political, social and economical changes. The demonstrations were organized by Democracia Real Ya! (Real Democracy Now!) [www.democraciarealya.es] and took place in more than 60 cities all arround Spain, Portugal and other countries. Huge demonstration in Barcelona against cuts and austerity. 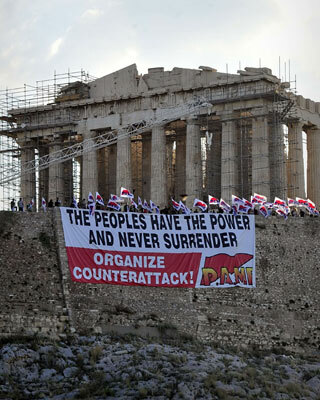 Second general strike of the year in Greece against austerity plans.